Pakistani police blocked a bail request for the minor who reportedly suffers from Down’s syndrome, claiming her release would endanger her life and that of her family. 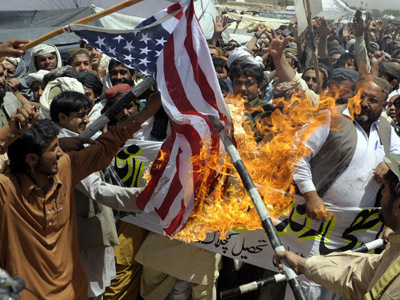 The girl is accused of blasphemy for allegedly burning a Koran. 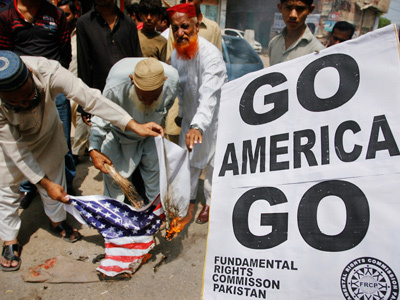 ­The detention of Rimsha Masih has sparked outrage and divided Pakistani society. Christian rights groups have demanded her release along with amendments to the penal code, while enraged Muslims call for the girl to be burned alive. The Pakistani Interior Ministry has reportedly asked the Islamabad police to reject Rimsha’s bail request on the basis that there was a serious threat to the girl’s life and the lives of her family. Her family members are thought to have been taken into protective custody. An interior ministry official speaking on condition of anonymity told BBC Urdu that Rimsha would be safer in custody until the matter has been resolved and the public has “cooled down.” He added that the situation could easily spiral out of control if rushed. In spite of reports that the girl was so traumatized she could barely speak, Islamabad police sent a preliminary report to the Interior Ministry saying the girl had admitted to burning the sacred book. A medical board had also been set up to ascertain the state of Rimsha’s mental health. 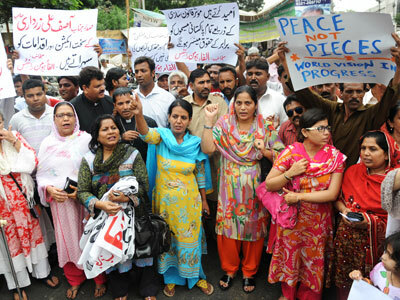 The All Pakistan Christian League held a protest in Karachi on Saturday, calling for police to drop the charges of blasphemy set against the 11-year-old and the launching of a judicial inquiry into why a minor with mental impairments was arrested in the first place. They also called for the amendments to the penal code, chanting “Stop killing innocent people in the name of blasphemy”, “Abolish the blasphemy law” and “Talibanization not acceptable”. 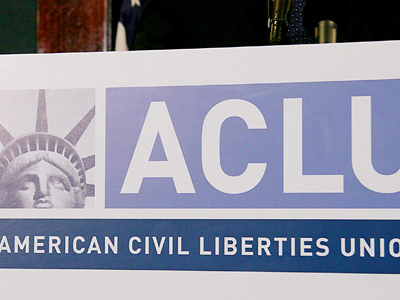 The controversial case has highlighted long-standing protests over the country’s blasphemy laws, under which a person can be jailed for life for an infraction. The girl is reportedly suffering trauma in custody and has been unable to say much to the police. Rimsha Masih was taken into custody last week in the Christian area of Islamabad after an enraged crowd demanded that she be punished. 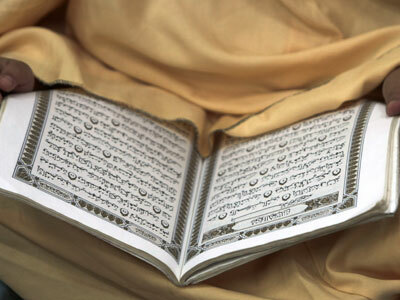 It is unclear whether or not she actually burnt pages of the Koran, given that some reports say that she was just found with pages of the holy book in her bag. Several Christian families fled the neighborhood as a result of the unrest. 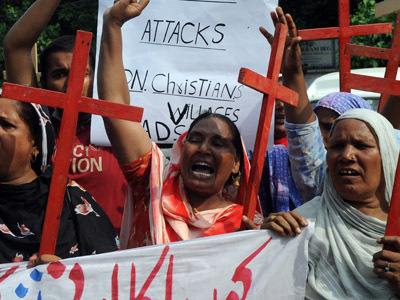 Tensions have escalated drastically recently between Muslims and Christian in Pakistan. Two days ago the body of an 11-year-old Christian boy was discovered in Punjab. The boy’s lips and nose had been sliced off and his body showed evidence of being burned. An investigation is now underway to find out whether accusations of blasphemy had been made against the boy.